January 19, 2016 was the day it all began. 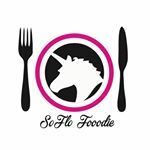 What we thought was just a fun way to share our food pics (terrible food pics, lmao) has turned into what SoFloFooodie is today! We are the type of bloggers that really appreciate everything we have worked for therefore, we have made it a habit to… Continue reading SoFloFooodie turns 3! You know what they say....you only turn 30 once! So, where would we celebrate this awesome occasion? The Sugar Factory on Miami Beach of course. From the moment we arrived until the very end of the dinner, our experience was F L A W L E S S. As soon as they saw us walking up,… Continue reading Shay’s SWEET Dirty Thirty..